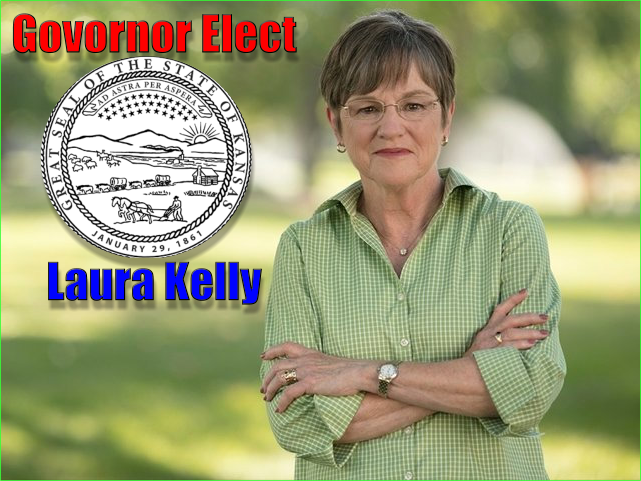 kANSAS BEGINNING TO MOVE FORWARD! The Working Kansas Alliance is a coalition of union and non­union groups dedicated to protecting the rights of the hard working Kansas families that fuel our State's economy at every turn. 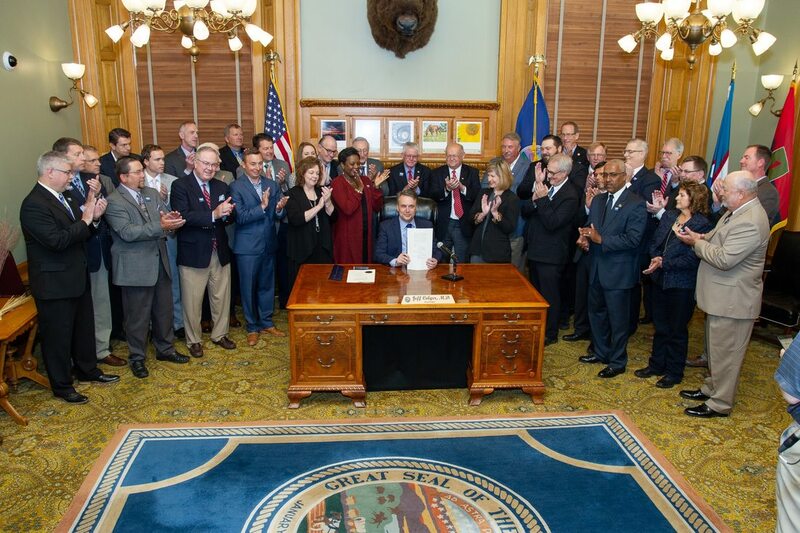 WKA works tirelessly to ensure that Kansas workers are given a strong voice in the Kansas Legislature and that their rights, wages, and jobs are protected from the attacks being aimed at them by anti-worker agendas. Our mission is to advocate for and promote policy solutions which strengthen working families and their Kansas communities. Last night I had dinner with Gov Elect Kelly and we went over rail labor priorities. We discussed two man legislation and I am cautiously optimistic, Key will be Senate and House leadership. I have a meeting scheduled with both respective chiefs of staff and Will Lawrence the Gov chief of staff. To be clear the Gov supports it and is working with us to counter the carriers on this issue. I have reached out to LR's that have key legislators in their district and will begin a education campaign as soon as those LR's report back to me. I will keep you updated. The big news, I have a a commitment for new funding for passenger rail expansion in the state of Kansas. Gov Kelly will allocate $30 million dollars in her proposed Tworks budget under the new Tworks bill this is a ten year plan. Whats this mean? Because this funding will now likely be in an appropriations bill there is now no need for us to introduce stand alone legislation. We along with allies (The Northern Flyer Alliance, and the Kansas chapter of NARP, which I'm on the board of NFA) will become proponents of this portion of the bill. Brothers and sisters this is a big news and reward for years of building relationships and our hard work. 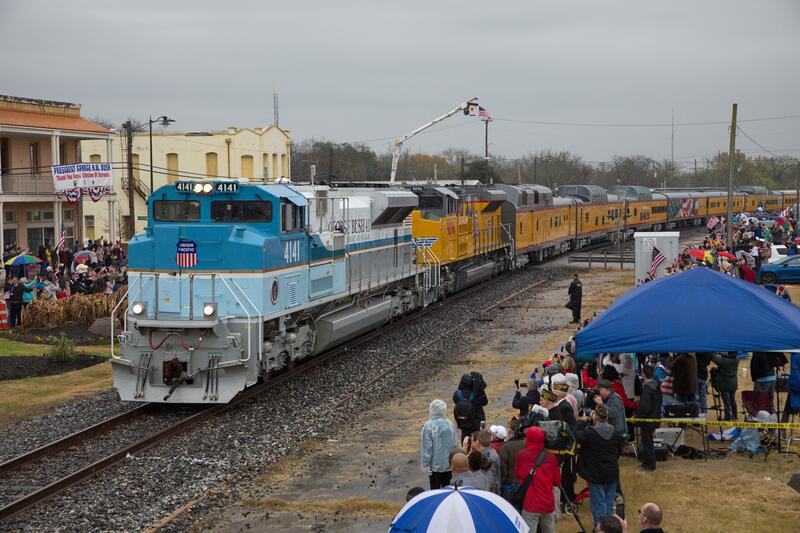 This is the first time Kansas has ever funded passenger rail. The jobs and network expansion will be huge. We are not out of the woods yet but were going full speed and definitely on offense. The BNSF is firmly against this legislation. As the legislation progress I will keep you up to date. As always if you have any questions feel free to contact this office at your convenience. Let me begin by saying that this award isn't applicable in Herington. Herington does not have “yard jobs”…Herington has “Zone Locals”. However, this IS applicable in Wichita and Salina. The Award addressing yard overtime preserved the employee's right to a regular shift but stipulated that the work had to be assigned after the close of shift in order to incur a penalty. The Award also properly placed the burden of proof squarely upon Carrier to prove an "emergency" situation existed which required the overtime. Additionally, the right of an extra employee to a claim was upheld if more than two hours' overtime are worked by the regular crew. ​In an unprecedented move by Senate Leadership Sen. Bollier stripped of committee leadership post. Senate President Susan Wagle, R-Wichita, this afternoon stripped Sen. Barbara Bollier, R-Mission Hills, of her post as vice chair of the Senate Public Health and Welfare Committee after Bollier endorsed Democrats for state and federal office. Bollier has endorsed Democrat Tom Niermann, Prairie Village, in the 3rd Congressional District for which U.S. Rep. Kevin Yoder, R-Kan., is seeking the GOP nomination, and she has said that she would vote for Sen. Laura Kelly, D-Topeka, for governor. "After Sen. Bollier's embarrassing endorsements, I have no choice but to remove her from her leadership position, effective immediately," Wagle said. "While we respect differing opinions in our caucus, it is unacceptable to betray members of your own party by publicly endorsing leftist Democrats. Sen. Bollier has lost credibility within our caucus which makes it impossible for her to function in a leadership role." Senate Majority Leader Jim Denning, R-Overland Park, said, "This is a profound and personal disappointment to me. At this time, this is what is best for the Republican Majority Caucus and Sen. Bollier's office moving forward. I look forward to continuing an environment where ideas are debated, and the caucus reflects Kansas values and the will of the voters who elected the Republican membership." Bollier is also a member of the Senate's Commerce and Education committees. Here is an article featured in the April-May SMART-TD Division Newspaper concerning our new 2018 tax requirements and responsibilities. Please give it a read. ​What Every Railroader Should Know,” written by Lawrence Mann, rail safety coordinator to SMART Transportation Division’s Designated Legal Counsel (DLC), is an extensive and comprehensive survey of federal railroad safety law as it pertains to rail workers and is essential reading for TD members concerned about how the law protects them. Mann, who has served as rail safety coordinator for the DLC since the position was created in 2008, has been recognized by peers as the “nation’s foremost authority on railroad safety legislation and regulation. He has given SMART Transportation Division permission to distribute his 700-plus page book via PDF on the TD website. It's official HB Sub for SB391 "Transportation Task Force" was signed into law this morning in the Govoners office. I was invited to the signing ceremony and gave brief remarks and thanks to legislators and the Gov. 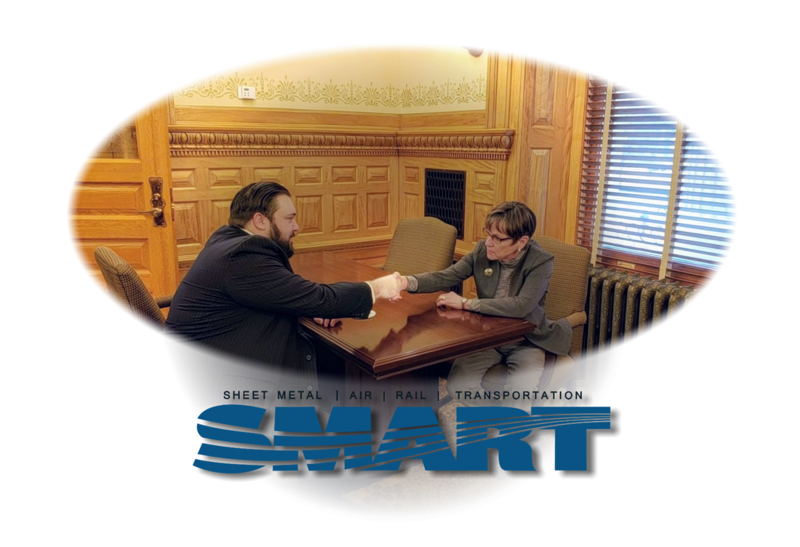 for recognizing that SMART-TD KSLB is and will be at the table when building the next 10 years of transportation policy in Kansas. The task force (TF) is charged with presenting to the legislature a 10-year plan after the current KDOT plan expires this year. Key to the task force will be to find a way of financing the 23 projects that were part of the now expiring T-Works plan. ​As the TF starts its work in the next month and a half I will keep you all up to date and apprised of where the discussion goes. This is new territory for KSLB considering that this is the first time labor has been brought in on the policymaking. For the last 80 years, labor has never been at the table. That changed today brothers and sisters! ​The thought of a 10,000-ton train going through northern Arizona with no conductor aboard has some railroad workers worried about what autonomous trains might mean for safety of pedestrians and those who live in areas with railroads. The Arizona Corporation Commission requires a two-person crew in the control compartment of the lead locomotive unit of a train, ACC spokesman Nick Debus said in an email. However, Liard said if autonomous trains start being tested, the commission could vote to change the rule and allow fully autonomous trains. “Anyone who’s worked with computers knows there are glitches,” Laird said. Wade Carlisle, a locomotive engineer and a candidate for the Arizona Senate in Legislative District 6, said fully autonomous trains could be vulnerable to hacking, which could create a dangerous situation for those in cities that contain railroads. The entire city of Holbrook, for example, only has a 5-minute evacuation window if there were to be a hazardous materials car rupture on the railroad, he said. The danger zone for a hazardous materials spill on the railroad can be tween half a mile to one mile, meaning people could be exposed to very dangerous chemicals if there were a spill. 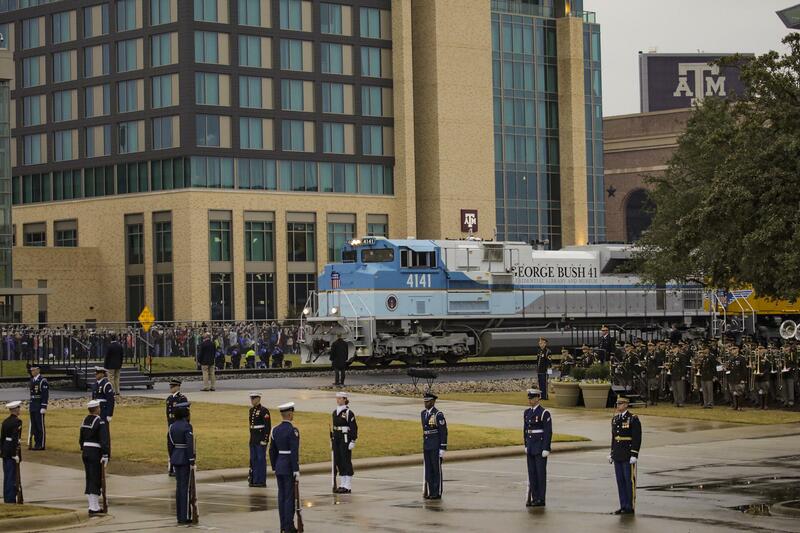 An autonomous train that could be hacked could therefore be used as a weapon, he said. “They haul every chemical known to man in bulk,” he said. Last month’s crash in Tempe when an Uber car was in autonomous mode and struck and killed a pedestrian is more proof that autonomous vehicles are too dangerous, Laird said. Laird agreed, and said even though trains with crews hit pedestrians from time to time, autonomous trains could pose a bigger danger. Aside from the public safety concerns, removing crews from trains could have a devastating effect to the economy of the region, the two said. 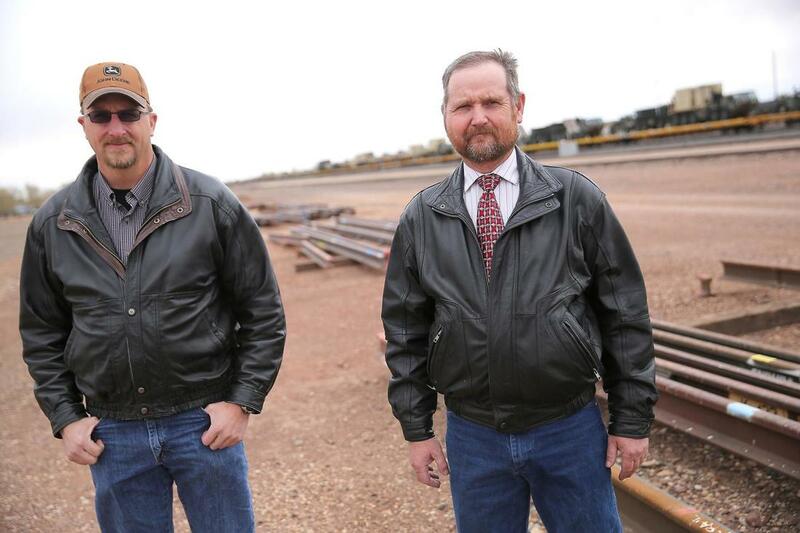 There are more than 500 trainmen based out of Winslow, Laird said, and about 800 SMART union members in Arizona. On average, the workers are making about $100,000 per year, for a payroll related to railroads of about $50 million annually, Laird said. If trains were to be fully automated, the two estimate between 90 and 95 percent of those jobs could be eliminated. With other major shifts in the transportation paradigm throughout history, like going from horse and buggy to cars, there has been a creation of new jobs, Carlisle said. However, now many jobs for machinery operators and other positions that were created by new technology have also been automated, leaving little room for new job creation with automation trends. The public comment period for the request for information will be open until May 7 for those who wish to submit comments. Those wishing to submit comments on can do so through www.regulations.gov using the docket number FRA-2018-0027. 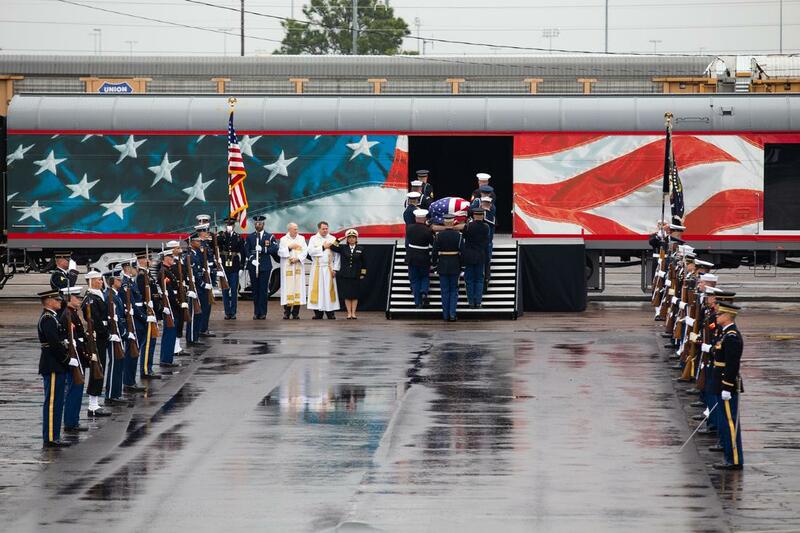 Brothers Laird and Carlisle did their part to let the public and the FRA know why automated trains are a bad idea by getting in touch with their local newspaper. Have you done your part? Click on the the link below and tell the FRA why you think autonomous trains are WRONG! Then, forward the link to your family and friends and encourage them to do the same. You only have until May 7 to make your voice heard! The wrap-up session opened today with both chambers passing several conference committee reports to the governor and the House gearing up for a Friday afternoon debate of the only budget bill that it has seen on the floor all year. Out Transportation Taskforce bill is still in conference, I'll update you as it works through. The Senate isn't expected to consider its Omnibus appropriations bill until Monday. The Senate's bill is shorter; it has already passed its major mega budget bill to the House where it languished, and Senate Ways and Means Chair Carolyn McGinn, R-Sedgwick, said the Senate bill will essentially be a touch-up to the main budget it passed last month. Senate Ways and Means today added to its final appropriations bill a direct order to Gov. Jeff Colyer not to continue his efforts to put the so-called "KanCare 2.0" health care proposal into effect. "If any new eligibility requirements or limitations are imposed by any state agency to receive state Medicaid (KanCare) services under the Kansas medical assistance program," the proviso would trigger the lapse of all state spending on Medicaid. That amendment by Sen. Vicki Schmidt, R-Topeka, was adopted, in what she described as the Legislature's "guard rail" on executive branch action that would result in Kansans losing KanCare health services. The House's debate Friday will be on virtually every dollar the state will spend in the remainder of this fiscal year and upcoming FY 2019. That debate is likely to include a lot of proposed amendments under the chamber's "pay-for" procedure, in which the total spending of the bill can't be increased during House debates. That means for proposed spending increases, there must be corresponding spending cuts. Both chambers' budget bills reflect the $533 million increase in Consensus Revenue Estimating Group predictions of resources for the remaining weeks of this fiscal year and next fiscal year and at least parts of the Governor's Budget Amendment which they received Wednesday. A preliminary meeting of the House-Senate conference committee on taxes this afternoon may have yielded an outline for House consideration of a Senate-passed Kansas income tax cut bill tied to federal income tax cuts of last December. That bill, which is based on increased Kansas-taxable income due to federal tax law changes, was passed minutes before first adjournment of the Legislature and is now in the House for consideration. House Tax Chair Steven Johnson, R-Assaria, said the multiyear $500 million-plus tax cut measure's limited de-coupling from federal tax law "is attractive" in the House. That de-coupling would allow Kansans to itemize their deductions for state income tax purposes when they use the federal standard deduction of $12,000 for single filers and $24,000 for marrieds filing jointly. Current state law doesn't allow Kansans who take the federal standard deduction to itemize on their state income taxes, which leaves them with just the $3,000 standard deduction for singles and $7,500 for marrieds filing jointly. "We like that ability to itemize," Johnson said. He said he wants an estimate of that decoupling's cost in lost revenue to the state, which may be a problem. So far, revenue estimates have been between $30 million and $90 million for that de-coupling which would trigger more Kansas income tax deductions, and Johnson said he'd like a firmer figure. Johnson also said there isn't much interest in the House in increasing the Kansas standard deduction as in the Senate-passed bill. Senate Tax Chair Caryn Tyson, R-Parker, said she doesn't believe there is much Senate support for a major overhaul of its bill, but that the Senate might give up some of its provisions in a major tax cut bill. Real key: Many legislators aren't sure just how much money the federal tax changes will free up and how it will be returned to Kansans. Moderate/liberal lawmakers believe they don't have enough information on the effect of those federal tax cuts that free up Kansas money for taxation and talk about at least a delay, while conservatives generally refer to the federal tax cut's effect as returning money to taxpayers and that the state ought to return that money through tax cuts, not absorb it into the state budget. Gov. Jeff Colyer today signed HB 2184 into law today. I was an invited guest to the signing ceremony due to the work we put into this legislation and our support of labor as a whole. HB2148 is an act that increases death benefits at the workplace. Link to 2148 below. Under Kansas law when an employee dies at the workplace the act allows for an initial payment to be shared between the surviving spouse and the dependent children. The spouse receives 50.0 percent, and the children, if applicable, receive 50.0 percent. The bill increases the initial payment from $40,000 to $60,000. After the initial payment, the Act generally allows for those dependents to receive weekly payments, subject to minimum and maximum amounts that are specified by law. Under the Act, a wholly dependent child may receive subsequent weekly benefits until the age of 18 or age of 23, provided the child is either incapable of earning wages or enrolled as a full-time student in a college or vocational institution. The bill clarifies that benefits for a dependent child 18 years old continue until May 30 of the child’s senior year of high school or until the child turns 19, whichever happens, earlier. If a deceased employee leaves behind a spouse, dependent children, or both, then no other dependents or heirs may receive benefits under the Act. The remainder of the bill revises certain minimum and maximum benefits payable for other individuals. Pursuant to the Act, other individuals who were wholly dependent upon a deceased employee’s earnings are eligible for a benefit. The bill increases the maximum benefit from $18,500 to $100,000. In situations where a deceased employee leaves behind persons who were partially dependent, the minimum benefit increases from $2,500 to $25,000, and the maximum benefit increases from $18,500 to $100,000. Most class one railroads have life insurance policies as part of employment benefits negotiated by labor and fall under FELA however, this raises minimum amounts substantially to the new levels in the act. It is important to know that all our brothers and sisters in the labor movement including all our Sheet metal brothers and sisters, that don’t have these benefits will now have reasonable minimum benefits. Today was a great victory for labor and I am proud that SMART-TD was seen as instrumental in HB2148’s passage. Our Asst. State Director Brother Henton is an avid horse racing enthusiast. The House has its budget bill probably in the afternoon after Republican and Democratic caucuses; the Senate's major event will likely be SB 427, the "slots at tracks" bill. I’ll let you know what I hear buddy!